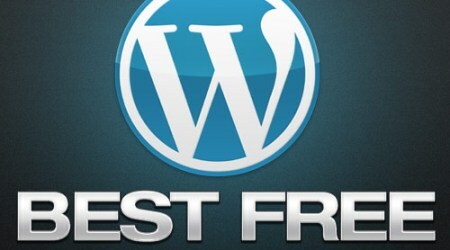 It Is Free – WordPress is completely free, unlike other blogging sites that charge a minimal fee. You just have to sign up for hosted blogging service and then download the required software. You can then install your blog yourself at no charge. Free Custom Designs – Again, free. WordPress offers a number of free custom designs from which you can choose to make your blog memorable. If you really want to go all out you can purchase templates from various designers, but there are so many available that you really do not have to. You can create a stunning blog that is completely unique and again, all for free. Customization – If you do want to really customize your blog you can do so with WordPress. Downloading the software and setting up your blog takes just a few minutes. Once you are finished with that you can play around with the different design options and create a unique blog. SEO – WordPress gives you the most SEO friendly way to blog. You can set the platform for SEO and then your blog will be indexed by Google more often than with other platforms. There are also a number of plugins that you can use to help boost your ratings. Speaking of Plugins – There are so many plugins that you likely will never use them all. WordPress offers the widest selection of plugins of all platforms. You can turn your site into whatever you want it to be and if you choose to switch to another platform from WordPress, they even offer a plugin to help you with that. These are just a few of the reasons why WordPress is chosen over all other blogging platforms. It offers you everything that you need to create a blog, advertise it and even get it ranked on Google and other search engines. This article was written by http://www.custard-media.com/. For professional website marketing, press release writing and other SEO services, visit us at custardmedia.co.uk today. This entry was posted in Velnet.com and tagged wordpress, wordpress hosting on May 14, 2012 by luqman.